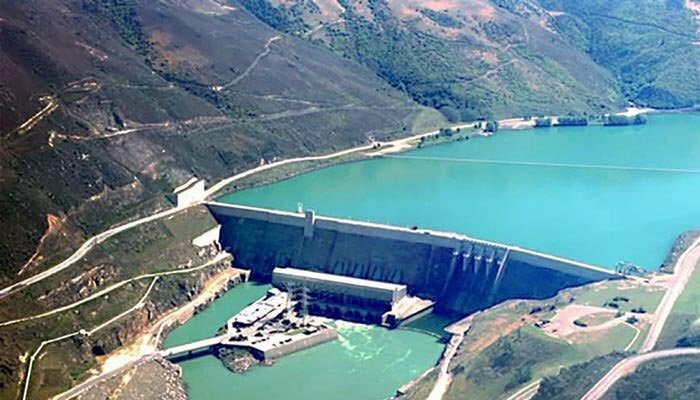 ISLAMABAD: Chairman Water and Power Development Authority (WAPDA) Lt Gen (retd) Muzammil Hussain Monday informed the Senate Standing Committee on Water Resources that the Mohmand Dam would be completed within a period of five years through latest technologies. Briefing the Senate body, the Chairman WAPDA said that the proposed time for the completion of dam was 5 years and eight months which would be reduced. "Unfortunately, the project has been halted for the last 50 years and 9 cases got registered against the Government of Pakistan for constructing Mohmand Dam," he said, adding, "All of the cases have been finally decided with verdicts in favour of the government." The dam has gross capacity of 1.9 million acre feet (MAF), live capacity 0.67 MAF with power generation potential of 800 megawatts (MW) and annual energy production of 2862 GWh. However, the dam had command area of 16,737 acres, the chairman WAPDA added. Referring to propaganda against the dam over the media, he said that it was falsely reported that WAPDA issued tender of the project through single bidding process. WAPDA clearly went for open competitive bidding, Hussain asserted. During the presentation by WAPDA, it was revealed that the bidding process was held from November 23, 2017 to June 26, 2018. Almost 23 firms purchased bidding documents, 15 attended pre-bid meeting, 10 firms visited the dam site and only 2 firms on Joint Venture submitted bids for the project. "The tribal people of Mohmand Agency deserve great applause and appreciation for their cooperation and enthusiasm for the dam," the WAPDA chairman said. "They asked the officials to start work at the project as soon as possible and even proposed that they do not want compensation for their lands." He said that 40 percent local engineers would be hired to work on the project whereas 60 percent expert engineers would be incorporated from around the world. "This will help in capacity building of our skilled youth like fresh engineers and graduates of local universities and will also assist in fortifying indigenous technical manpower," Hussain remarked. WAPDA officials further briefed the Senate Standing Committee that Chiniot Dam was proposed at an ideal location for flood mitigation in the area at Chenab River. “The main objective of the dam is to cope with inundation occurring at the upstream areas,” the officials said. It was also being built due to having 0.9 MAF water storage capacity, 80 MW power generation potential, domestic water supply, ground water charge, recreation tourism and socio-economic development of the area objectives, they mentioned during the presentation. The officials informed that three alternative sites were under consideration as its concept paper PC1 has been approved and PC2 was under process. They added that the process would be expedited to get the project initiated without any further delay. On the PSDP releases for Noulong Dam, Ichar Dam and Machura Dam, the allocated and released funds were not compatible for in time development of the projects which should be assisted by the Planning Commission, they suggested the Senate Body.